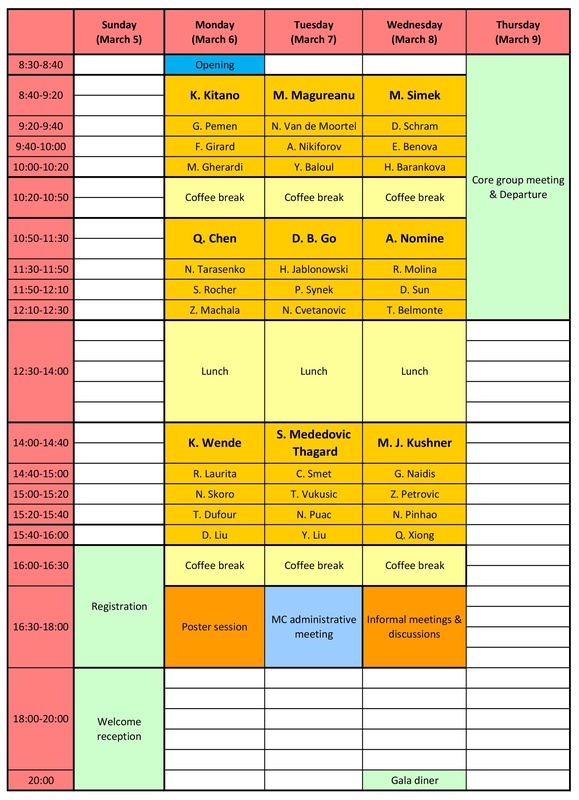 The conference will have 9 sessions on which will be presented 9 Invited Lectures (INV, 40 min) and 30 Topical Lectures (20 min) complemented by 1 Poster Session. The scientific programme will start on Monday morning, 6th March, and finish on Wednesday evening, 8th March. In Tuesday afternoon the Management Committee meeting will take place. See block schedule below and detailed scientific program.